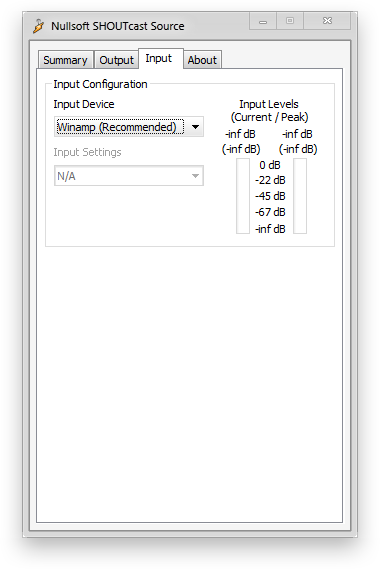 For this tutorial, we are going to use Winamp. You can download Winamp from the Nullsoft Website. Please note that while Winamp has a Mac OSX version, the required plugin does not. Winamp cannot be used to steam from OSX. For an alternative, please consider Nicecast. 2. 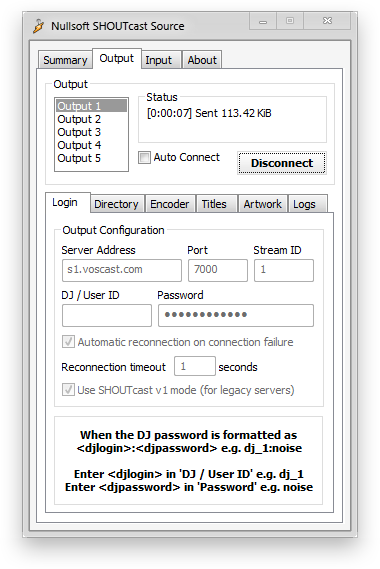 Install the SHOUTcast DSP Plugin. 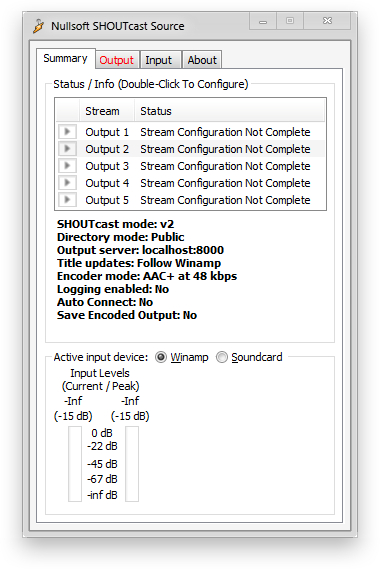 Now download and install (using the default settings) the SHOUTcast DSP Plugin. You can download this plugin here. 3. Enable the SHOUTcast DSP Plugin. b. Open "Preferences" (Options -> Preferences, or CTRL+P). c. In the left menu, select "DSP/Effect". 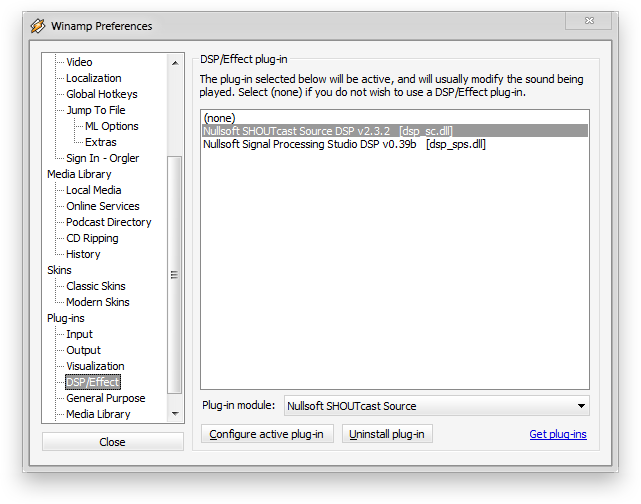 Then click (In the box on the right) "Nullsoft SHOUTcast Source DSP v2.3.3 [dsp_sc.dll]". Please note that the version shown will change as newer versions are released. e. You should now have the Nullsoft SHOUTcast Source window running alongside Winamp. This will now automatically run every time you start Winamp. 4. Configure SHOUTcast Source (The SHOUTcast Source Plugin). The first settings you will need to modify are the connection settings. a. Select "Output" and then "Login". b. Input your server Address, Port, and Password. (This information can be found within your VosCast control panel overview). Please review this information to ensure it has been entered correctly. c. Select "Directory", and fill in the appropriate information. Set AIM, ICQ and IRC to N/A or 0 if you don't have either of them, or don't know what they are. Tick "Make this stream public (Recommended)" to be listed on the SHOUTcast directory. 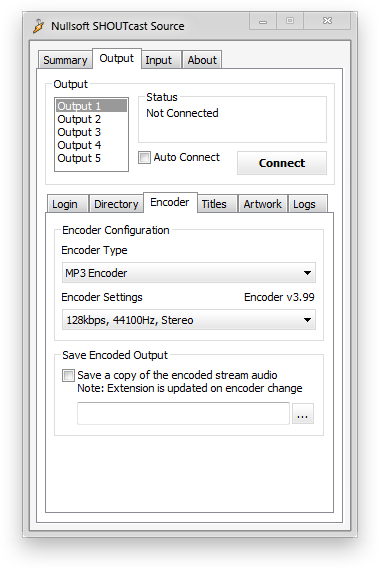 d. Select "Encoder", and select "MP3 Encoder" as the Encoder Type. For the Encoder Settings, match it to the plan you purchased with your VosCast account (the bitrate). b. 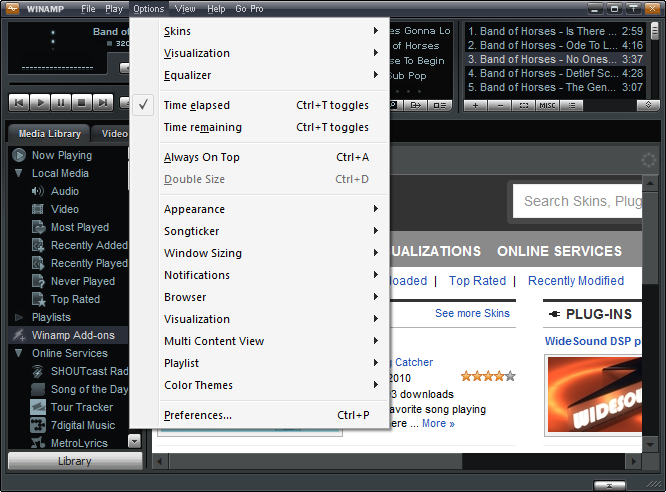 On this tab, you can select "Winamp (Recommended)" or "Soundcard Input" under the Input Device. 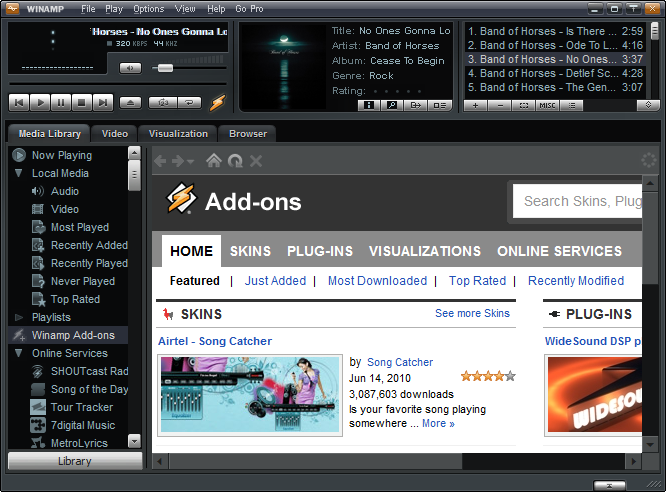 Having "Winamp (Recommended)" selected will stream the music you are presently playing in Winamp. 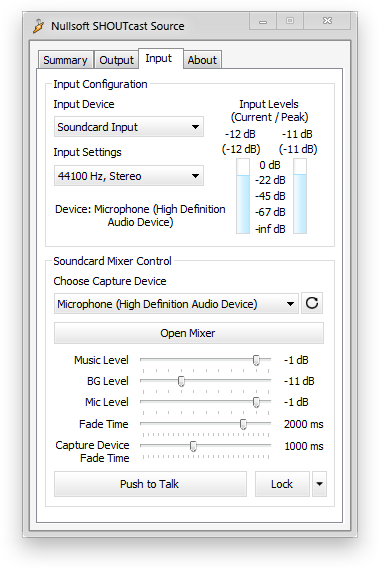 Having "Soundcard Input" selected will stream audio from your microphone, or the input device you select. c. For streaming from your microphone, select "Soundcard Input". You should match the "Input Settings", to match the "Encoder Settings" you set earlier under the Output -> Encoder tab. d. For broadcasting, to play music, switch the input device to "Winamp (Recommended)". When you want to talk, select "Soundcard Input". Switch the Input Device back to "Winamp (Recommended)" for the moment. To connect, select "Output", and press the "Connect" button. You should now be streaming the music you presently have playing in Winamp.